Since I'm part of the group, I obvs don't need to enter the giveaway, but I love this post and the question! First: "This book is not just about zombies, but about the forces that keep you isolated, that make you aware of your vulnerability." - OMG YES. You captured that so perfectly. Second: Hmm... I wouldn't want to be alone in a zombie apocalypse. Too sad/scary. (Even though it would give me less to worry about...) I think I'd want my boyfriend with me, not only bc I love him and don't really want to imagine a world without him (sorry, cheesy I know!) but also bc he's an Eagle Scout who watches a lot of Survivorman, so I think he'd be useful in keeping us alive, hahaha. I would want someone to kill me in the event of a zombie apocalypse-I don't want to turn in to one and am not sure I'd succeed in escaping them otherwise. I loved Carrie Ryan's The Forest of Hands and Teeth AND The Dead Tossed Waves (I haven't had a chance to read Dark and Hollow Places yet). I can't wait to read the others listed here. Your question is a tough one that would probably require many lists and lots of thought(and paper)... my brain already hurts. I'm not sure I'd want the responsibility of protecting someone other than myself, and I'm pretty sure I wouldn't want the added guilt if something happened to them (AND the continuous sadness of loss). Ugh. FOREST OF HANDS AND TEETH was so sad! The only reason I picked it up a couple years ago was because so many people were talking about it on the blogosphere... had I known it was about zombies I wouldn't have read it! (But I'm so glad I didn't know because I really enjoyed the trilogy!) Still trying to get up the nerve to read the other ones you mentioned! 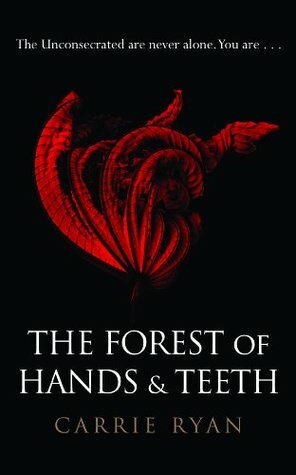 I have FOREST OF HANDS AND TEETH but haven't read it yet. Why aren't there more hours in the day? Same thing with Mira Grant's FEED. Two zombie-esque series I do recommend, though, are Ilsa J. Bick's ASHES and Ann Aguirre's ENCLAVE. Both of them have a bit of a twist on what you might think of as the stereotypical "zombies eat brains!" tale. Though there ARE brains. And zombies (though not always by that name). 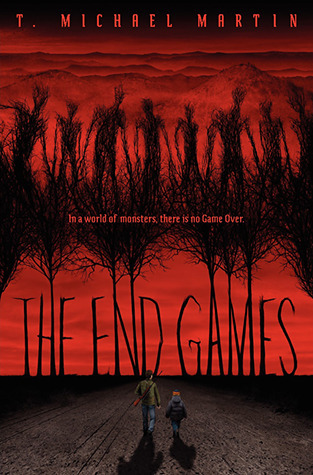 And THE END GAMES sounds like it has all of the right elements that I love in a book. And that cover - love! 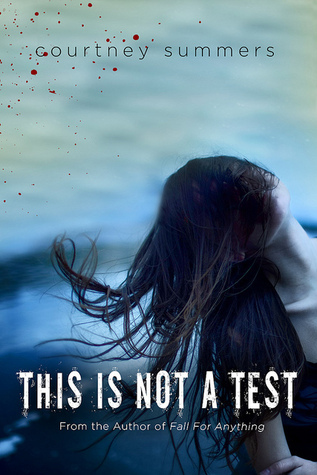 Okay I really need to read 'This Is Not A Test' after hearing SO MANY good things about it. I can't say I'm a huge zombie fan, but I have read a few titles I've enjoyed (such as Carrie Ryan's). I love Carrie Ryan's Forest of Hands and Teeth series and the Newsflesh series by Mira Grant. I have an ARC already of the End Games, so don't enter me in the giveaway, but I'm very excited to hear this one is on your list of zombie greats. Fabulous roundup! Mmmm brains is right. 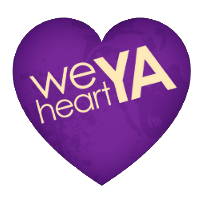 I loved Carrie Ryan's series -- definitely beautifully done. Really enjoy Ilsa J. Bick's series too...though it's so gory it's not for the faint of heart. 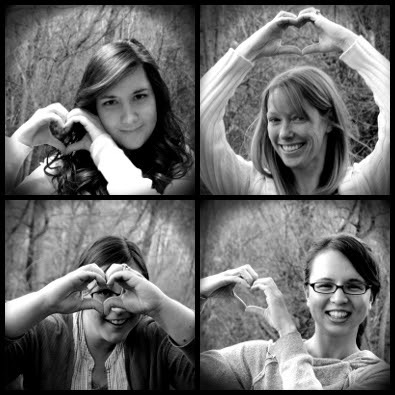 Oh, and easy answer to your question: People! The more people around me who are not zombies, the better! Because I am not cut out for living on the run. Just popping in to say thanks for all the interesting comments--so much goodness! Two more days and I'll announce the winner (random draw). Personally, I'd either want to go it alone or hang on the coat-tails of survival experts. Not with anyone I knew, because I couldn't handle losing someone I loved.